"Ewart McLaughlin in model 17, may 24,1909." It looks like his un-named buddy has been sucking on the exhaust pipe! Clarence Ewart McLaughlin was born in 1893, making him around 14 at the time this picture was taken. 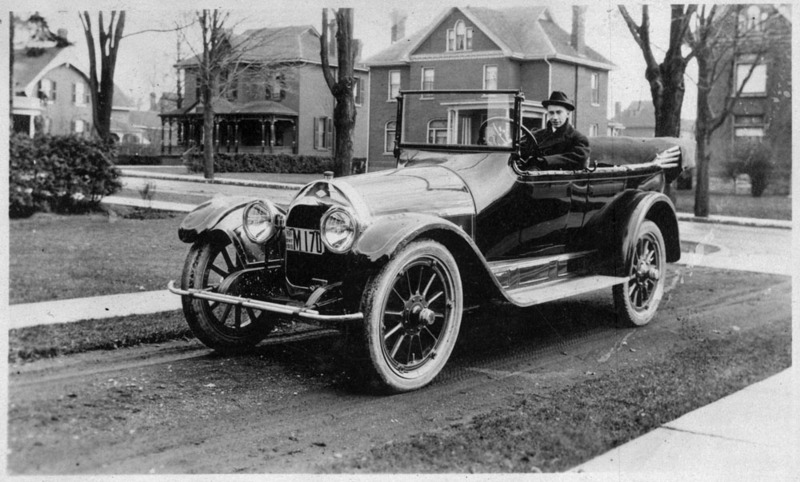 His father, Col. Sam McLaughlin- A large volume Canadian wagon & carriage builder transitioning into Automobile manufacturing- struck a 15 year deal with Billy Durant in 1907 to sell Buicks in Canada, re-badging them as "McLaughlin-Buick"s.
McLaughlin's business was eventually acquired by General Motors and became the basis for G.M. Canada. C. Ewart died in 1968. Wow!! Great picture!! Neat exhaust headers. Great photo !! As "speedsters" go, that Buick was a beast !! 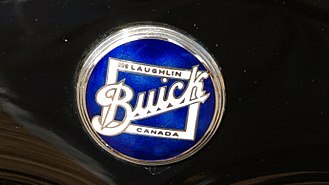 Thanks for the history on this Dale, interesting about the "McLaughlin Buicks" in Canada. As others have said before, there is no way to correct a post and I realized that fractured math as soon as I posted it. Here's an interesting shot from 5 years later of a now 21 year old Ewart McLaughlin at their dealership in Edmonton, Alberta showing the transition from horses to automobiles was still going on. Interestingly, the cars needed full-length dip pans in the showroom- but the buggies didn't! "Ewart Mclaughlin, left and A.W. 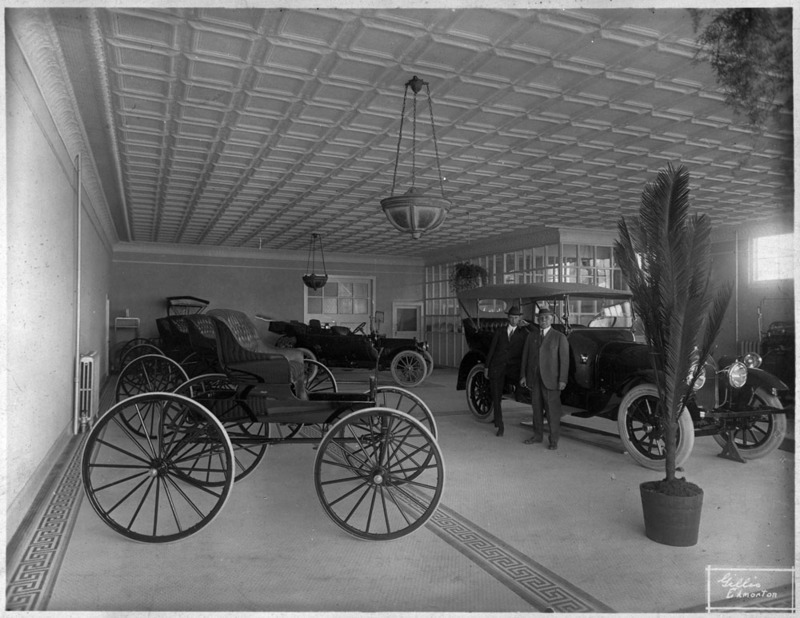 Challard standing in showroom of McLaughlin's Edmonton, Ala., branch 1914." Unfortunately that potted plant gets in the way of a impressive Buick. With that long, long hood, could this be an incredibly rare B-55 "twin six" (V-12)? I believe the B-55 was a single six. I got a ride in one a few years ago, and it was one impressive ride. The car in the first picture looks too small to be a Model 17, which was Buick's biggest at the time. I'm guessing Model 10. Dale, another super photo ! I didn't mean to be a jerk about Ewert's age - given the dates he could have been closer to 15, which puts me in mind of playing with Model Ts at that age. The dealership photo is a beauty. 1914, my grandparents were still using horses, and automobiles were a novelty. Grandpa became a "motorist" in 1929 at the age of 38, when he bought a used '25 Model T roadster pickup. No problem- I appreciate the correction! I've found about a dozen pictures of Ewert posing in various early cars and few speedboats as he grew up- suffice to say, that kid had a very interesting life! Gilbert, you are most likely right- I think the camera caught that car at a bit of an odd angle or maybe that plant is creating an illusion of a extra long hood in my mind. 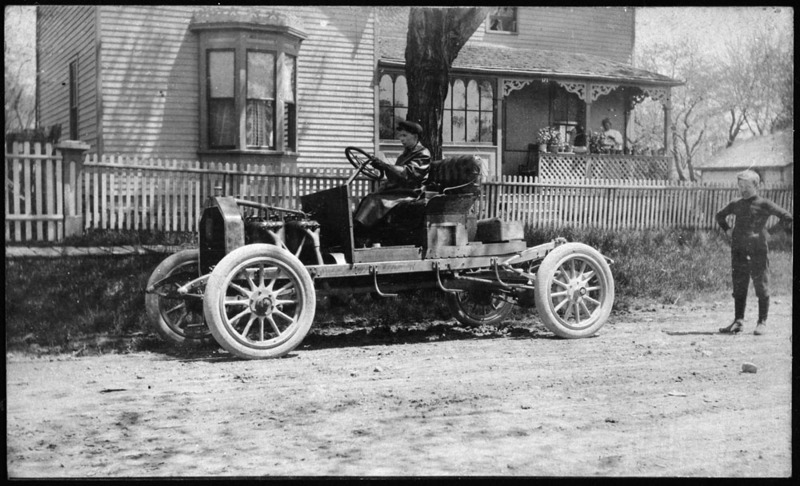 Here's Ewert in a B-55 captioned "Ewert McLaughlin's automobile, 1915"
and here's a Buick that surely is a model "10"
"Test drivers, McLaughlin Motor Co. taken at corner of Rossland Road and Simcoe Street, Oshawa, Ont. C. 1910"
Note that taught pull rope! I had a Buick Model 10 frame for a short time. It would have had a box frame in the rear, no upsweep over the axle and outboard mounted full epileptic springs at the rear. The Model 10 was a very light car, know as the White Buick. The lower photo could be, it looks to have been fitted with different tires and wheels. 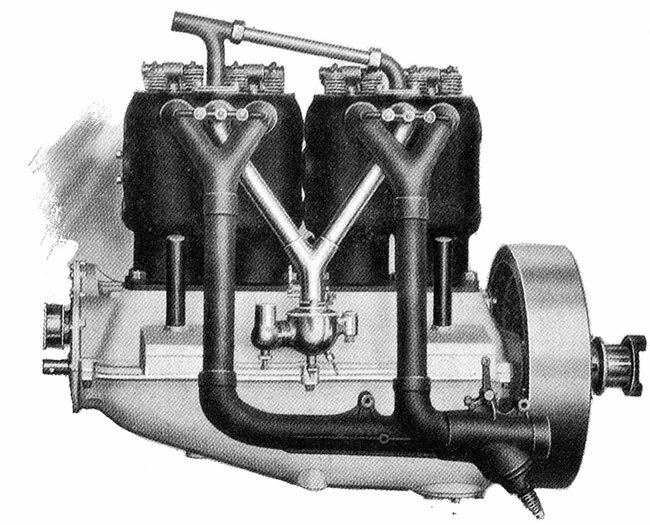 This engine was used in the Model 16 and 17 for 1910. It looks like the one in the stripped down car to me. 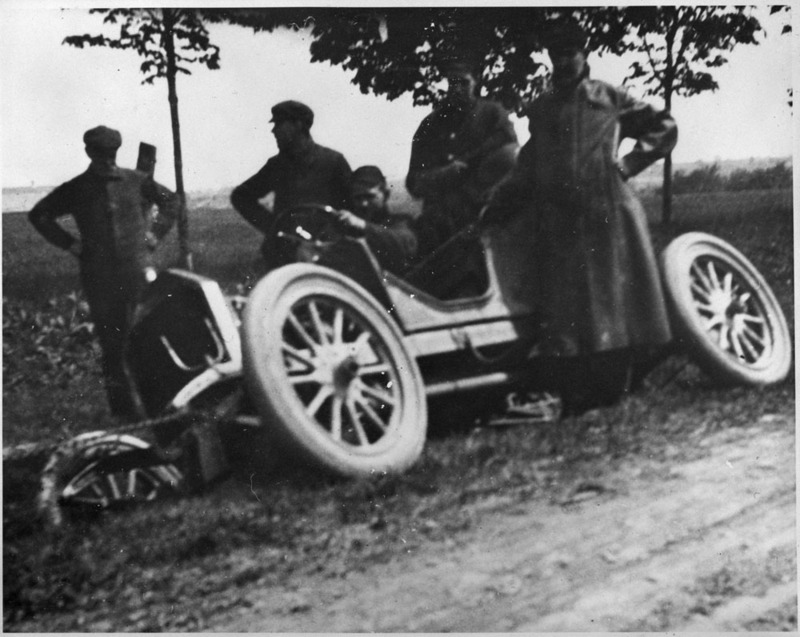 It was thirty HP, 318 cu/in introduced in the Model 16 in 1909. It was carried through into 1911 in the Models 38 and 39 and 1912 in the Model 43. Notice the long drip pans under the drive line in the show room cars, seems to have been SOP in the day.